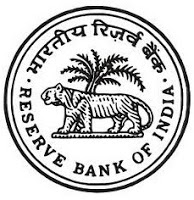 Reserve Bank of India (RBI) has released the Admit Cards (Call Letters) for it's RBI Grade B Officers Phase 2 Online Exam 2015. As you know, the organization has conducted online test for the recruitment of Grade B Officers on 22nd November 2015 and released the result of the same yesterday (26th November 2015). Today it has came out with Phase II online exam call letters. The Phase II Online Exam will be held on 7th December 2015.